There’s been no shortage of leaks showing off Samsung’s upcoming premium handset, the Galaxy F. With rumors abounding about a metal back, we’re all curious to see photos of the device and learn if it’s true. Some of the latest pictures reveal a bit more about the phone, showing thin bezels and a back that may not be metal after all. Let’s take a look. 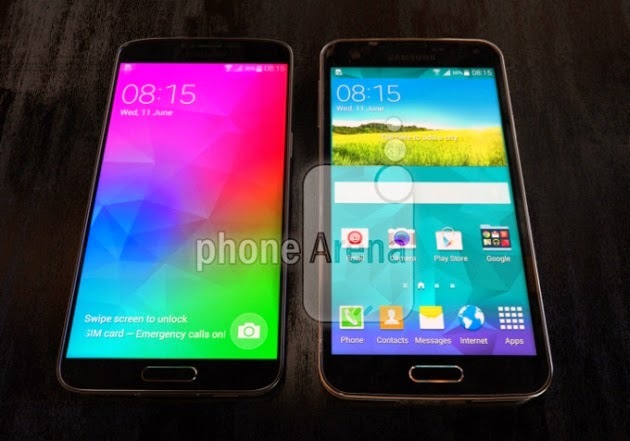 The picture at the top shows the Galaxy F next to the Galaxy S5, revealing that the Galaxy F does have drastically thinner bezels, much the same way the LG G3 does. 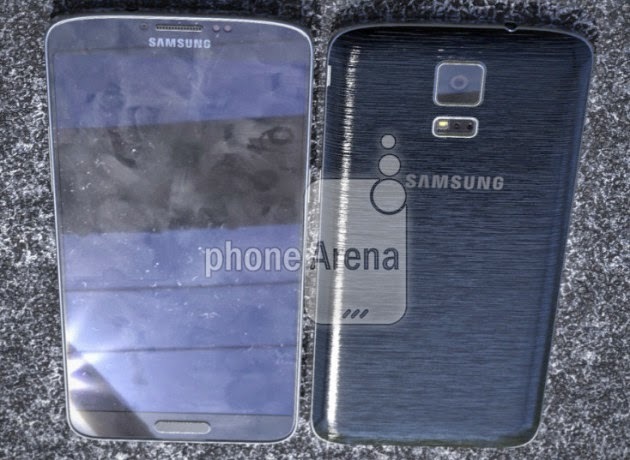 In the picture below, the back of the Galaxy F is seen to have a brushed appearance. To the naked eye, however, it much more resembles LG’s metallic plastic finish on the G3 than it does legitimate metal. We’ll have to until the full reveal to find out for sure. According to leaked specs, the Galaxy F will be outfitted with a 5.25-inch QHD display, Snapdragon 805 processor, 3GB RAM, and 16-megapixel camera with OIS. An official release date isn’t known, but fingers are pointing towards a September launch alongside the next-gen Galaxy Note. For a couple more pictures of the device, head over to the source link below. Is the Galaxy F everything that the S5 should have been?